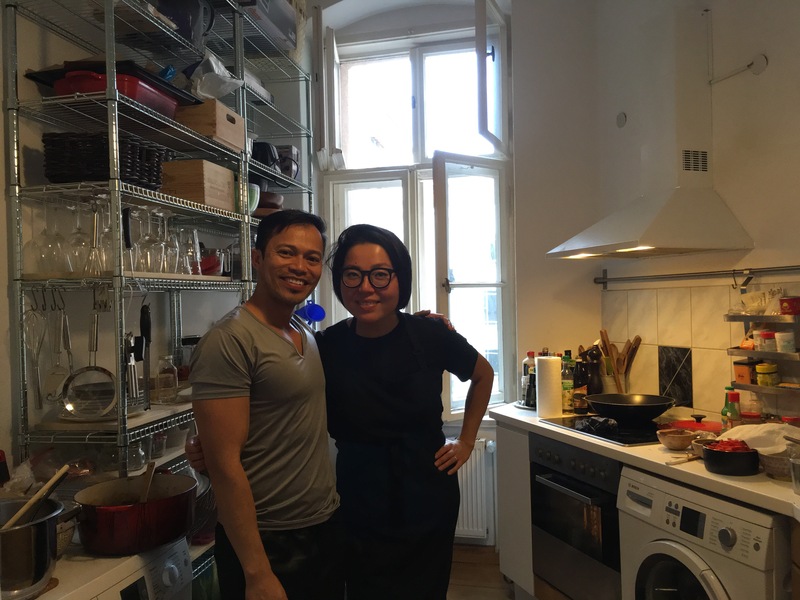 My friend, Ash, runs ChiFanBerlin, a supper club specializing in authentic Shanghai cuisine. We first met through the now-closed KitchenSurfing platform, where she was known as the Dumpling Diva. 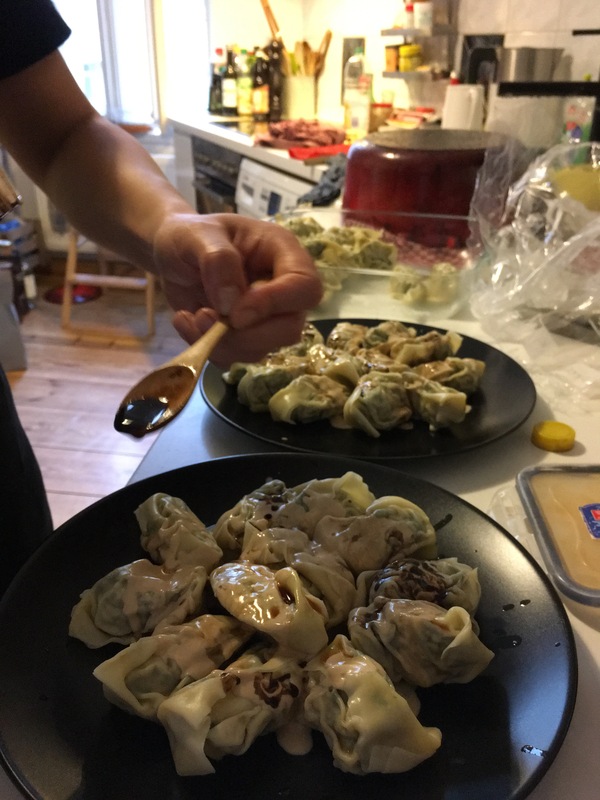 Ash cooked a delicious 5-course dumpling meal for me and 12 friends, starting with dumpling in soup and going to pan-fried and steamed dumplings before finishing with a sweet rice and pumpkin dessert. 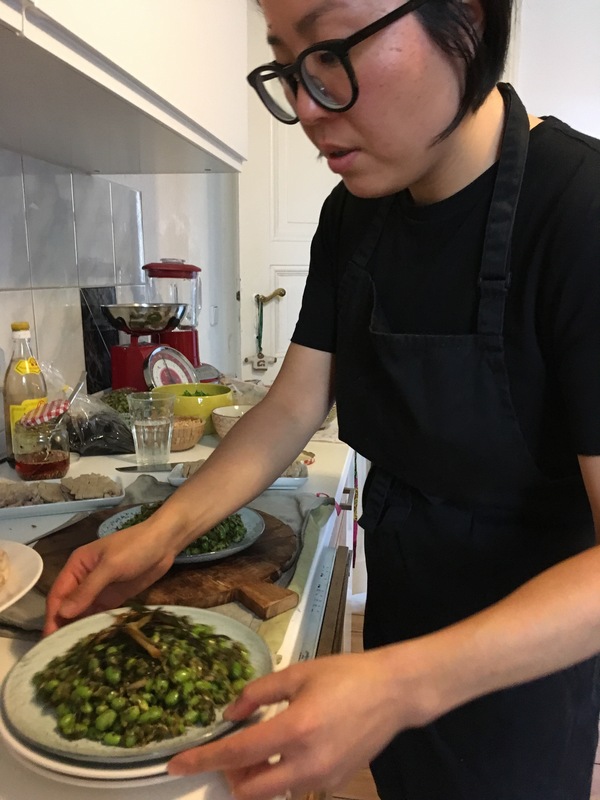 Fast forward to a few years later, Ash does regular supper clubs in her home, and after being featured on CeeCee Berlin and StilInBerlin, she’s got over a thousand people on her mailing list vying for 8 coveted spots for each supper club date. 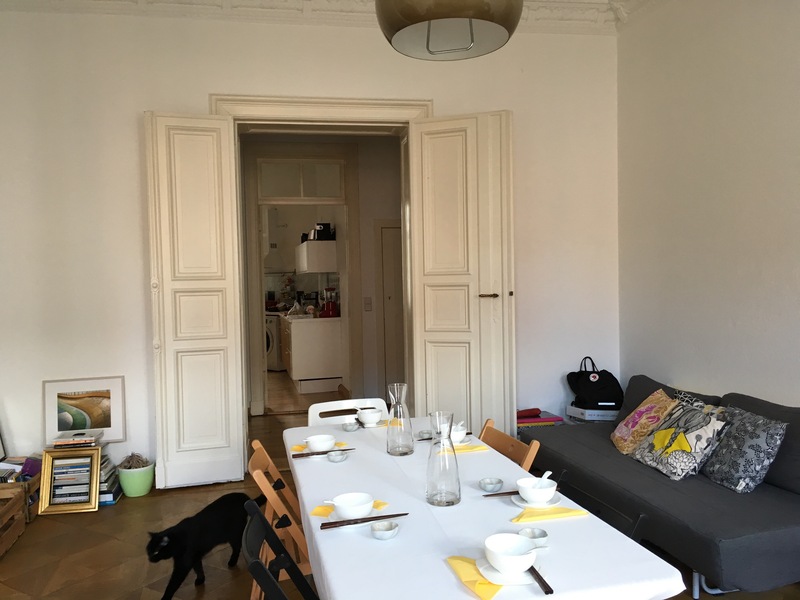 It’s been challenging to find a space to have a supper club that strikes the balance between the right group size for great conversations & friendly, intimate atmosphere and not breaking the bank in venue rental. After her last venue query went south, I offered Ash our home. So, last night was our first prototype in using our space for supper clubs! We got an extra table and 6 chairs so we could host 12 diners. 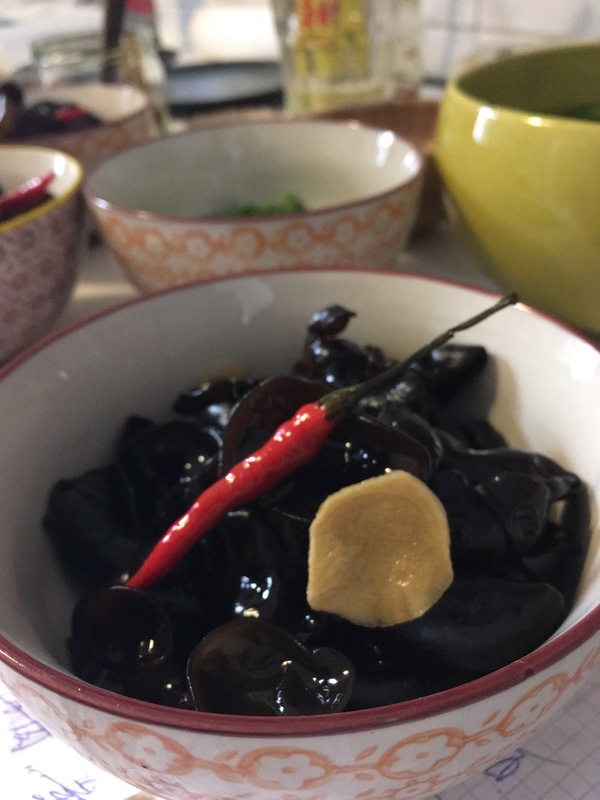 Ash prepared a 10-course dinner and cold-brew tea. I shuffled furniture around, played waitress and helped clean up. Phil came round for a bit to help out too. Scroll down for photos! All photos taken on my iPhone SE as I didn’t have time to whip out my DSLR in between serving dishes. 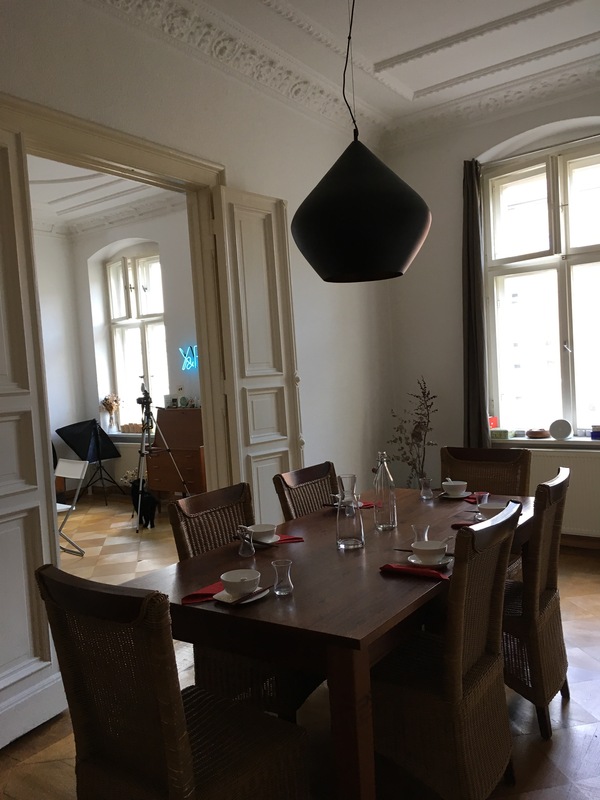 My “femcave” studio is converted into a second dining room. Our adjacent dining room, joined to the “femcave” by double-doors. 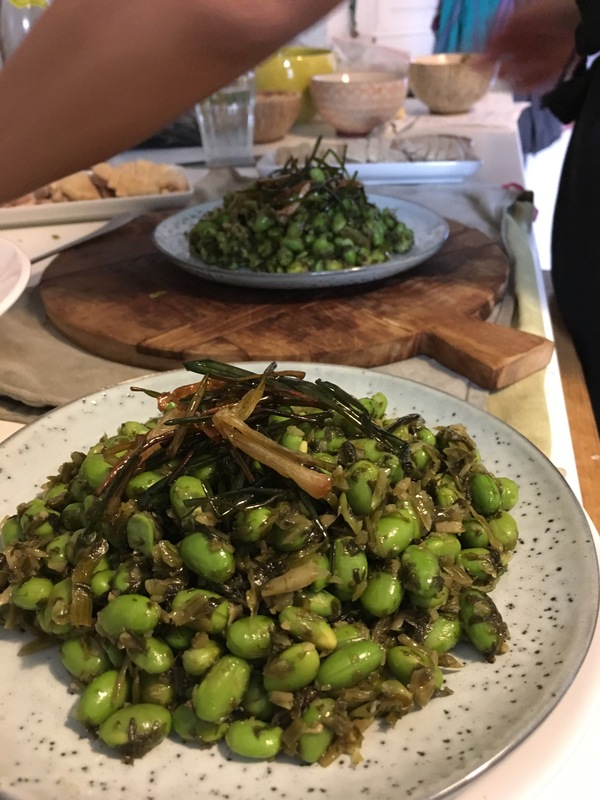 Edamame with ginger and Xinjiang vinegar. Mung bean “jelly” with spicy and sour sauce and crushed peanuts: one of my favourites! 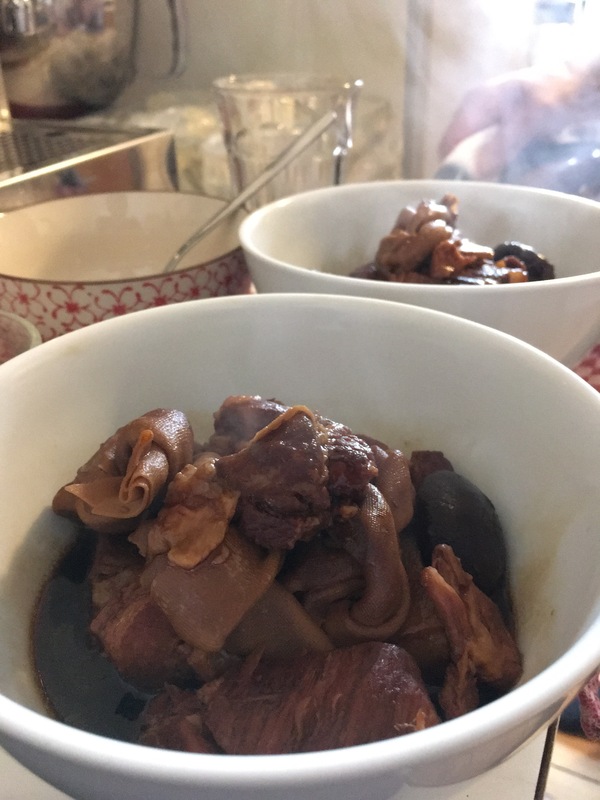 Stewed pork belly and tofu knots. This is just heavenly over steamed rice! 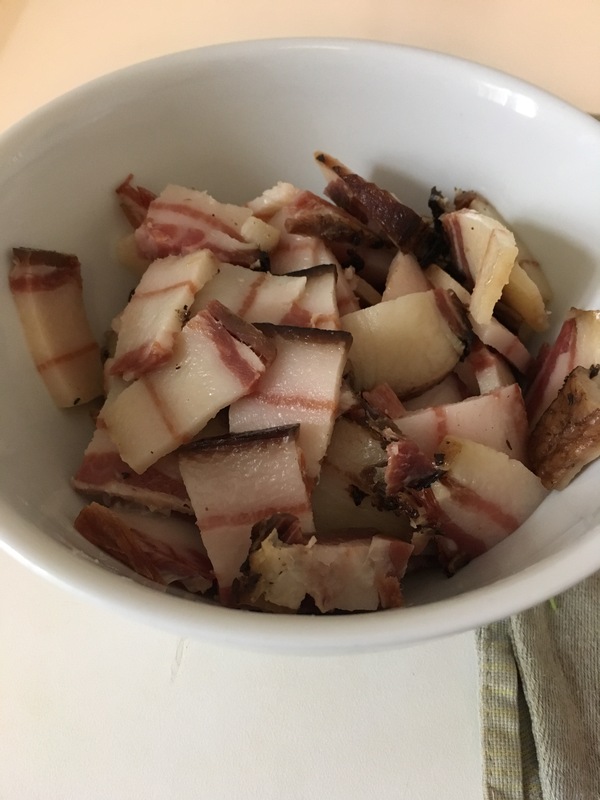 This thing that looks like a pancetta and lardo crossover, is pork belly that Ash’s friend’s mother smoked in her family farm. Ash smuggled it over on her last trip home. That delicious smoked pork belly went into this delicious stir fry! 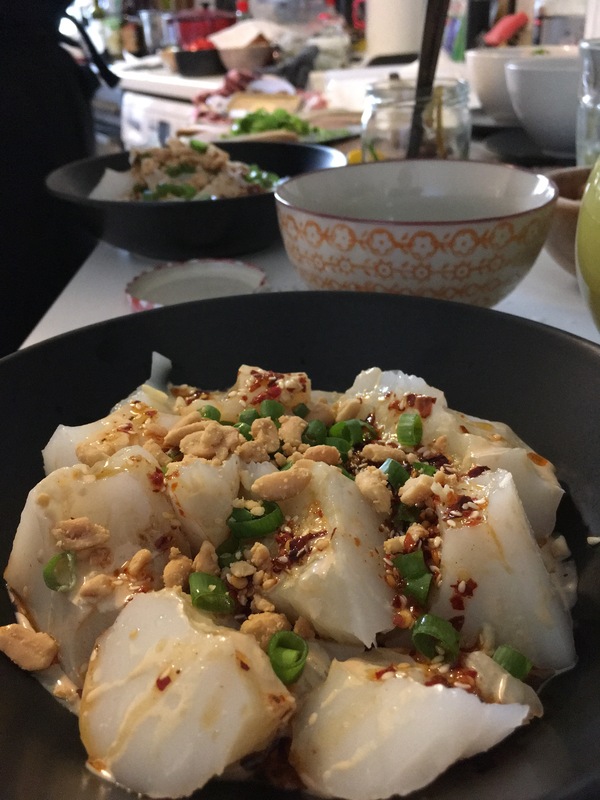 Chicken dumplings, served cold, after all the hot dishes. This is drizzled with a smooth think peanut sauce, vinegar and chili oil. Poached chicken, served cold with a soy-ginger dipping sauce. 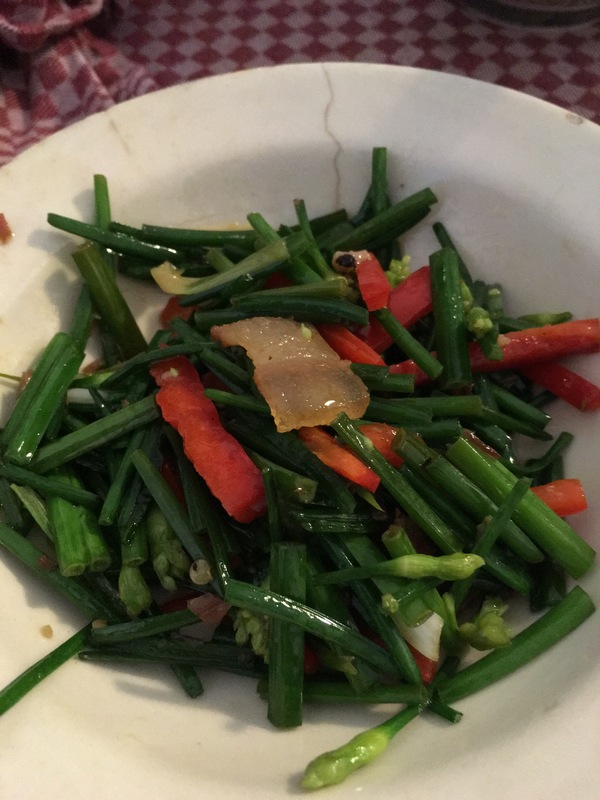 Steamed fish, heaped with chili and fresh shoots. Pak choy in garlic sauce. Dessert: sweet congee of soy bean, goji berries, Chinese dates, lotus, nuts. I’ll be back with more So Called Indonesian and Man in the Kitchen series shortly. In the meantime, Phil from Flavorphil is next in line, so stay tuned to see what he’s cooking up for his supper club.